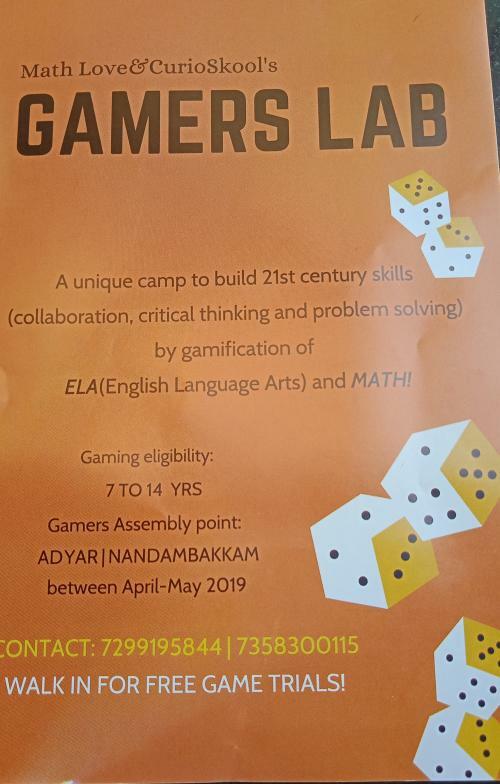 Gamer’s Lab is basically a 15 day camp where students get to enjoy Math and English Language arts in a gamified form. All the activities are associated with a Math/ELA concept and each activity is aimed at imparting a particular 21st century skill. Contact @7358300115 or 7299195844 for camps at Nandambakkam and Adyar.